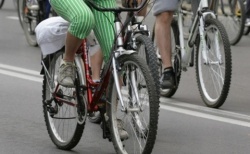 A possible extension of one of the European cycle routes to Bulgaria will be discussed in the city of Ruse on Tuesday. A working group on the development of bicycle transport and tourism in the Lower Danube will meet with participants from Bulgaria, Romania and Serbia. The project is implemented by the Danube Competence Centre with the partner at local level being VeloRuse, Darik radio reports. Among the other partners are the Bulgarian Association for Alternative Tourism and the foundation Eco-society. The aim of the meeting is to focus on one of the fourteen European cycle routes included in the EuroVelo project of the European Cyclists’ Federation. The project is focused on route EuroVelo 6, which runs between the Atlantic coast of France and the Black Sea coast of Romania. The current route has been completed to Serbia and the present project aims to prepare its extension to Bulgaria and Romania.